Professional experience and professional development are of the utmost importance in translation and interpreting training. We therefore provide many opportunities for students and practicing interpreters and translators to develop and refine their skills. Below there is a collection of useful links and content available to those interested in any of our short courses. 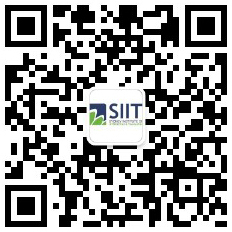 If you would like further information visit our calendar of short courses or contact Jeff HUANG @ jeffhuang@siit.nsw.edu.au. For the upcoming Professional Development Sessions, please click HERE. Ausit Code of Ethics AUSIT’s most important publication. It is recognised as setting the standards for ethical conduct of interpreters and translators in Australia and New Zealand. Australian National Standards for Working with Interpreters in Courts and Tribunals Prepared by a specialist committee appointed by the JCCD in 2017. Mental Health Interpreting Guidelines for Interpreters, Prepared by: Dr Jim Hlavac, Translation and Interpreting Studies, Monash University (2017). NAATI – Certification Prerequisites. Explore the different pathways available for those wishing to obtain a NAATI Certification or recognised practising credential. NAATI – Recertification. Process by which translators and interpreters with NAATI credentials demonstrate that they remain active and committed to the translations and interpreting industry. Health Translations. Provides direct links to reliable translated health resources produced in Australia. Health Translations is an initiative from the Victorian Government of Australia. The Centre for Culture, Ethnicity and Health has been contracted by the Victorian Department of Health and Human Services to manage and improve the directory. Better Health Channel. This web site aims to help understand and manage health and medical conditions. Managed and authorised by the Department of Health & Human Services, State Government of Victoria, Australia. NSW Multicultural Health Communication Service established in 1997 as a result of NSW Health’s plan, Health Services for a Culturally Diverse Society (1995). The plan identified the need for the development of a co-ordinated statewide approach to provide information about health issues and health services to people who speak languages other than English. Healthdirect Australia. Healthdirect Australia manages and maintains a thesaurus, reflecting the current Australian health and human services environment. eviQ is part of the Cancer Institute NSW, an Australian Government, freely available online resource of cancer treatment protocols developed by multidisciplinary teams of cancer specialists. Queensland Transcultural Mental Health Centre. Specialist QLD state-wide service that works to ensure people from culturally and linguistically diverse (CALD) backgrounds receive culturally responsive mental health care and support. The QTMH provides a glossary in mental health and other related information. Legal Glossary Develop by Victoria Law Foundation (2015). Administrative Appeals Tribunal. Provides an independent review of a wide range of decisions made by the Australian Government under Commonwealth and Norfolk Island laws. Victoria Legal Aid. Funded by the Commonwealth and Victorian governments but operate independently of government. Provides free legal information and education to all Victorians, with a focus on prevention and early resolution of legal problems. Its Public Law Library allows access to legislation, case law, or other legal material. The Royal Commision into Family Violence. State of Victoria, Royal Commission into Family Violence: Summary and recommendations, Parl Paper No 132 (2014–16).2015. One year on from the Royal Commission into Family Violence. Progress made across government to implement the Royal Commission’s recommendations since the release of the report on 29 March 2016. Ending Family Violence: Victoria’s Plan for Change. Presents the Victorian Government’s 10 Year family violence reform plan. State of Victoria (Department of Premier and Cabinet) 2016. Best Practice Guidelines for Lawyers Doing Family Law Work. Prepared by the Family Law Council and Family Law Section of the Law Council of Australia (2017). This Way Up, an online web site developed by the Clinical Research Unit of Anxiety and Depression (CRUfAD) at St Vincent’s Hospital, Sydney and University of New South Wales Faculty of Medicine.